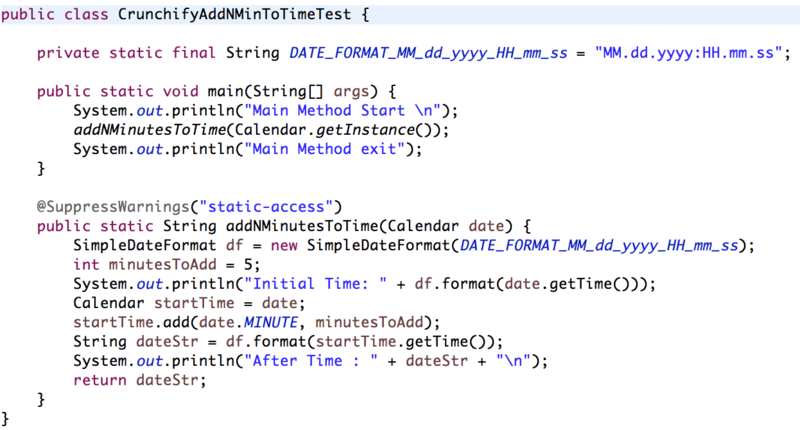 Blog Java and J2EE Tutorials Java: How to add “n” minutes to Calendar data object? Java: How to add “n” minutes to Calendar data object? Very simple way to add “N” minutes to current time in Java. Java: How to Get the Start Time of a JVM ?